Whether it's for rewarding good behavior or performing a trick, your dog deserves an occasional treat. Unfortunately, a popular dog treat is being recalled for a possibly dangerous contamination. 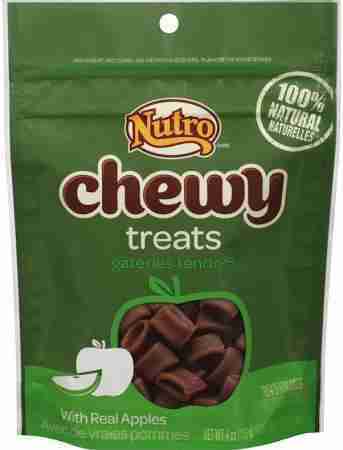 On Friday, The Nutro Company issued a voluntary recall of its Chewy Apple Dog Treats due to "potential mold." Although the Nutro website makes no mention of the danger, the company's getting the word out about its recall through distributors such as PetSmart, a Nutro representative told The Dodo. In its announcement, PetSmart urged customers who purchased these treats to immediately "stop feeding this product to your pet." 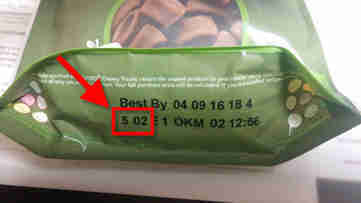 You can find these codes on the bottom of the bags just below the "best by" date. For its part, PetSmart promised a full refund to anybody who brought remaining dog treats to the store. In the meantime, why not make your dog some treats from scratch? It's easier than you think. Here are a bunch of easy, do-it-yourself dog treat recipes. Click here for the complete statement from PetSmart Corporate about the recall.